Mark Twain was born in a town called Florida in the American state of Missouri. 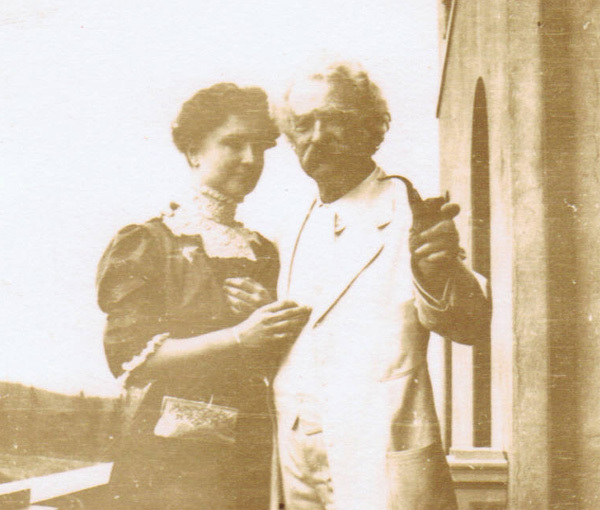 At the time of his birth - on the 30th of November, 1835 - he was known as "Samuel Langhorne Clemens." Growing up in Hannibal, another Missouri town, Twain - called "Sam," as depicted in this photo taken when he was 15 - used places from his childhood as settings for his famous stories. A former Mississippi-river-boat pilot, he would have had tales to tell as he traveled hither and yon. Some of Twain's tales became (and remain) famous (and richly illustrated) works of American literature. At AwesomeStories, you can hear dramatizations of (and learn background facts about) the first five chapters of The Adventures of Huckleberry Finn. Twain had a beautiful home in Redding, Connecticut which is known today as "Stormfield." That home is depicted in this historic footage which was filmed by Thomas Edison's company in 1909. It is the only-known moving film of Twain. In this clip, which is online courtesy the Library of Congress, we also see Twain with two of his daughters, Clara and Jean. Jean died on December 24, 1909 (not long after the film was made). He entered into my limited world with enthusiasm just as he might have explored Mars. Blindness was an adventure that kindled his curiosity. He treated me not as a freak, but as a handicapped woman seeking a way to circumvent extraordinary difficulties. There was something of divine apprehension in this rare naturalness towards those who differ from others in external circumstances. I came in with Halley's Comet... It is coming again ... and I expect to go out with it... The Almighty has said, no doubt: "Now here are these two unaccountable freaks; they came in together, they must go out together." When Twain died on the 21st of April, 1910 - the year after this footage was shot - Halley's Comet reappeared. Historical footage of Mark Twain, taken by Thomas Edison's Company in 1909, online courtesy Library of Congress. 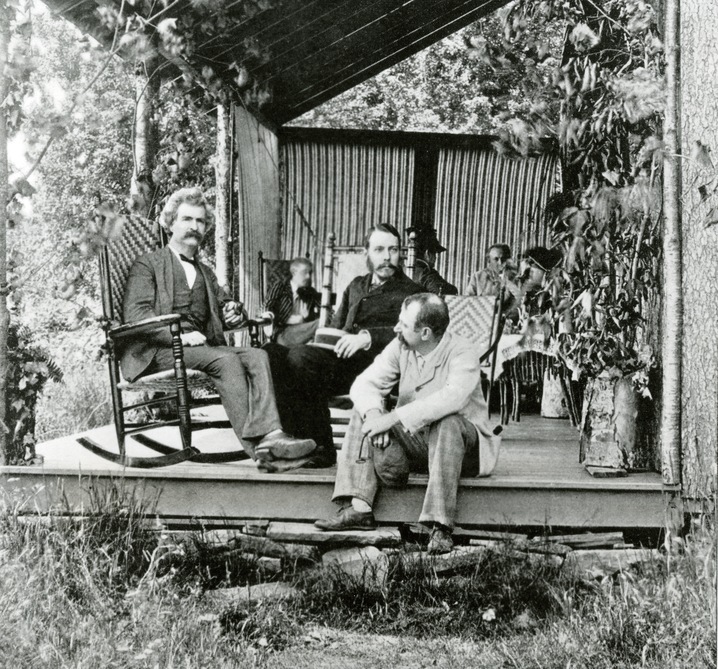 Photos of Mark Twain online via Mark Twain Library in Redding, Connecticut. Bos, Carole "Mark Twain - Historic Footage" AwesomeStories.com. Oct 07, 2013. Apr 19, 2019.